Country living at it's best! This home is perfect as a primary residence or as a peaceful weekend retreat that offers swimming, kayaking, fly fishing or just complete peace right outside your back door! 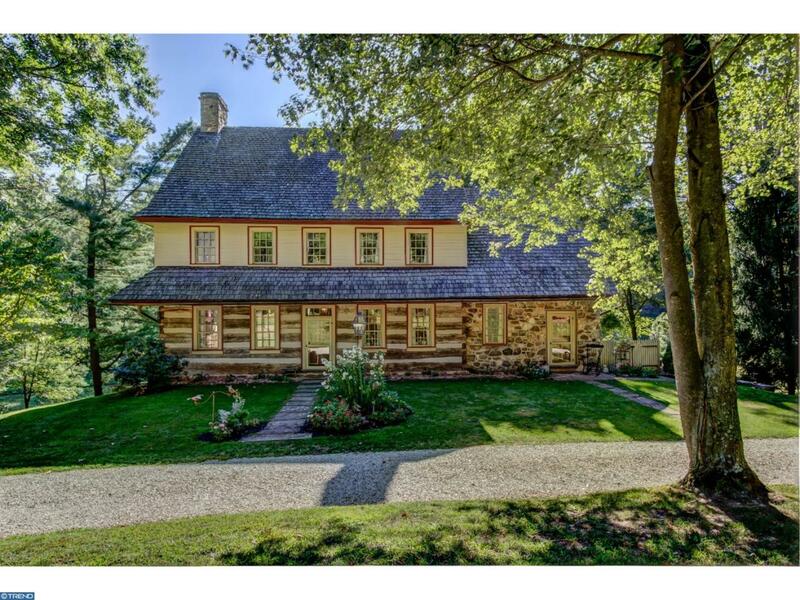 Nestled in a unique community of 18th Century style homes and situated on a beautiful lot overlooking the Octoraro Creek and acres of preserved open space, this Log & Stone home is a replica of a Circa 1765 historic farmhouse. 5 Bedroom, 2 Full baths and 3 half baths with 4 fireplaces. Fabulous finished walk-out lower level with bar and wine cellar. When you arrive at the property you'll be immediately captivated by views of the large 3 car garage Bank Barn with Courtyard. Enter into the foyer with front to back views which showcases the early wide plank flooring, authentic period hardware and original deep window sills throughout the home. Country Kitchen w/ new appliances, granite counters and a beautiful stone fireplace. Second floor offers a large Master Suite wing with sitting room/home office, full bath with double sinks, soaking tub and shower. 3 additional bedrooms and 2 more baths complete the 2nd and 3rd levels. Spectacular finished walk-out lower level includes wet bar with an exquisite Wine Cellar! Truly a wine enthusiast dream! Just outside your back door is the Octoraro Creek where you can enjoy a peaceful moment, swim, fly fish or kayak. Horse stables and riding trails are located nearby. Convenient to US-1 & 95 Corridor. About a half hour to Newark/Wilmington and North East Maryland. Easy commute to Baltimore, Philadelphia and trains to NYC/DC. Don't miss the opportunity for a fabulous vacation home or private retreat.